SP Crochet! 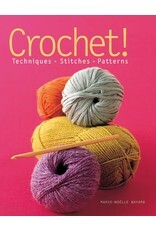 - Crochet Stores Inc. Forget about outdated designs: Crochet! is all about cutting-edge needlework! These sophisticated handmade masterpieces-all in wools, silks, cottons, bamboo, and microfibers-range from dresses and cover-ups to accessories, home décor items, and toys. 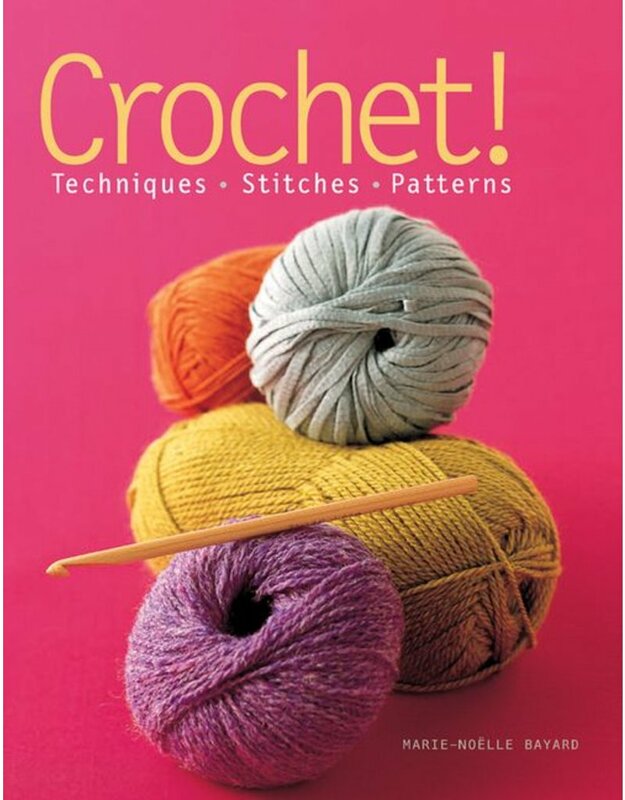 Eighty classic and fanciful stitches provide plenty of inspiration for crocheters of all levels, while 20 patterns-each with a photo of the finished project-round out this updated and comprehensive course. Textile designer Marie-Noëlle Bayard has worked for haute couture designers and for women's magazines. She has written for Marie-Claire Idées and Elle Décoration and is the author of Embroidery: Techniques and Patterns and Sewing: Techniques and Patterns. She lives in FRANCE.